Feel like you're right up on the stage with the saxon 3x25 Opera Glasses with Handle. 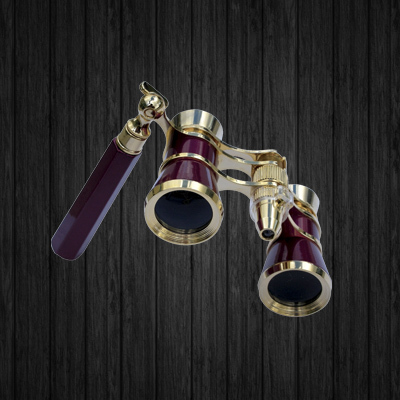 With a handle that extends up to 5" in length, these opera glasses feature 3x magnification and 25mm objective lens to help enhance your viewing experience. Easy to use and compact enough to store away in your handbag, the opera glasses are a must-have to any theatre outing.